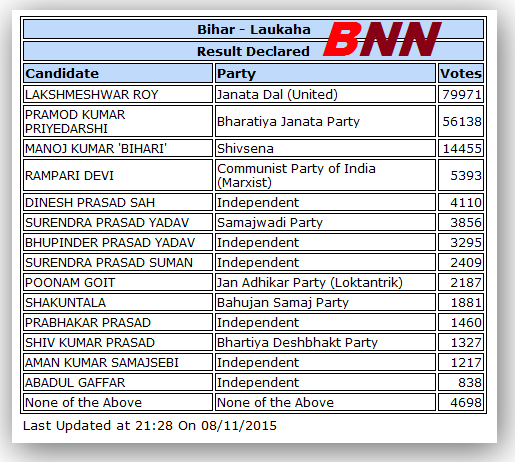 Laukaha constituency is in the Madhubani district of Bihar. We take a look at Laukaha Map and also the Laukaha Assembly election results from 1977 to till date. 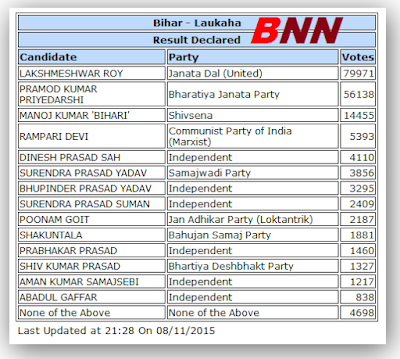 Basically a pro-communist constituency, it has moved towards RJD and JD(U) in recent times.